• Our Labels are available in several different materials, giving you the power to balance between your needs for cost-effectiveness and durability. A range of size options gives you freedom to place these labels in any type of setting, as well, from on a machine itself to on a wall or on a product. 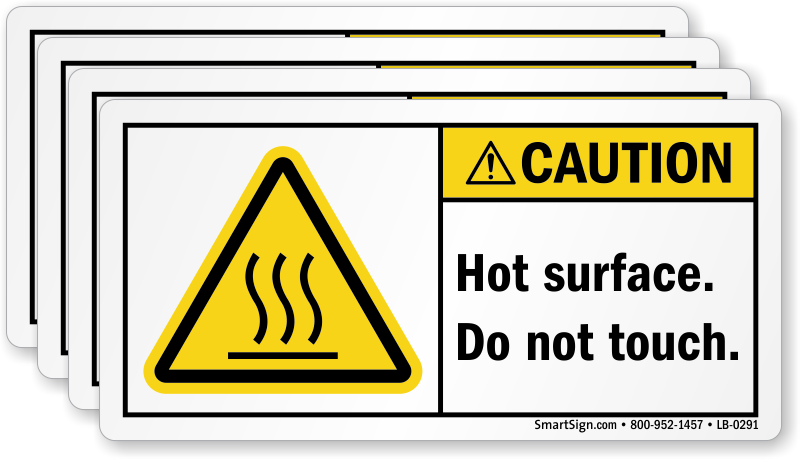 • Safety comes first when you use a label - labels make it easy to talk about safety often. High Tack Laminated Poly (best adhesive) 3.5" x 5"